"My family loves them. Love the fact they are high in protein and low in calories and sugar. And they are delicious and filling. " "I’ve eaten sooo many protein bars and most of them leave a grit or a taste that isn’t pleasant. I love all of these bars. Makes me feel like I’m eating a candy bar. I eat one every.single.day! You’ll love these bars too"
"Love built bars have them after I work out "
"The coconut are my favorite flavor, followed closely behind by mint. Unfortunately, my kids have now found these hidden in my freezer and are eating gobbling them up. Not really a problem - just means I need to buy more. A co-worker even started buying them after seeing me stash them in our office freezer. These are super yummy. We are all in love!" "Best tasting protein bars by far! " "Love these built bars. They taste like a candy bar. Guiltless treat." "This was a great way to try all the different flavors! I recently purchased a “create your own” box of bars! I really enjoy these unique protein bars"
"Absolutely love the bars! Everyone I have told about them love then as well. Wish I could buy them locally. " "Love, love, love these bars. Only 3 Weight Watcher points!" 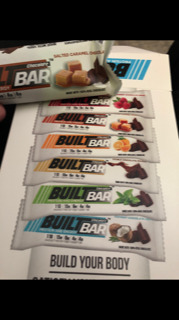 "I recently purchased the Mixed 16 count variety pack of Built Bars. Even though I like them all, this was helpful in narrowing down those I REALLY like and would reorder when I build my own box. These bars have become my favorite treat and helped me stay on track and avoid higher calorie desserts in my weight loss journey." "Excellent, so fresh and tasty! Love them!" "I love built bars. My favorite flavors are the coconut and raspberry. I really wish they would come out with a peanut butter bar." "What a great way to be able to try all flavors! The mixed box was such a treat. My husband and I loved all the flavors but had a few select favorites including coconut and salted caramel. Definitely the best way to try all flavors and find your favorites!" "Can’t say enough about these protein bars, they are a healthy treat.Only negative remark would be the length of shipping time." "LOVE LOVE LOVE!!! This taste just like a mounds bar but way healthier and NO JUNK in it! Thank you Built bar! Highly recommend!" "Love the built bars ! Got the caramel , vanilla and strawberry in one order ! Love them all, especially the caramel !! A recent purchase was coconut and chocolate, love them also ! Built bars low calories and sugar, love they are 3pts. on the WW plan !!" "Love these bars! Coconut is my favorite but can't go wrong with any of the flavors"
Best Bars In The World!!! "Absolutely love them!!! Will for sure be ordering again!!!!! They all r great and yummy flavors!!!! " How Many Flavors in Your Box? 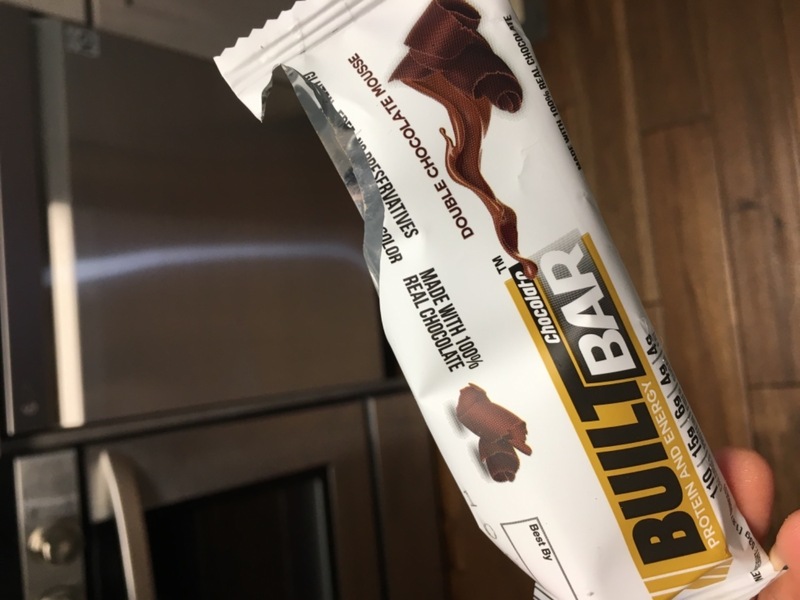 "These built bars are so good!!! " "Enjoyed the bars they are very tasty. Love that they are only 3 pts on WW." "I have thoroughly enjoyed these bars, so filling and good. First box took a while to come but the 2nd one came within days. Would highly recommend these"
"Absolutely addicted to these. The strawberry and coconut are becoming a staple in my house. I like to cut up the chocolate one into pieces and roll in a little peanut butter powder. So much yum!" "The most delicious bars that we have ever ate! Very satisfying and very delicious!" Protein bar or a desert? "I love Built bars I just wish I could buy them in stores lol because I’m impatient when waiting on my order to arrive. But seriously these are the BEST!!!" "I love these bars! They fulfill my chocolate craving. I put the bars in the freezer, and it slows down the eating process. I’m obsessed with BuiltBars. " "Enjoyed then! A nice change !" "These bars tastes amazing. All the flavors are good but i recomend puting them in fridge for like 30 minutes before eating it because it tastes much better. " Built Bar and Weight Watchers! "Only 3 WW SPs! Eat one every day. Every one of them tastes great. Real chocolate. "